Here you go with the United State Ice Cube Tray, which contains all the states of USA and you can eat up an entire state if you want to. 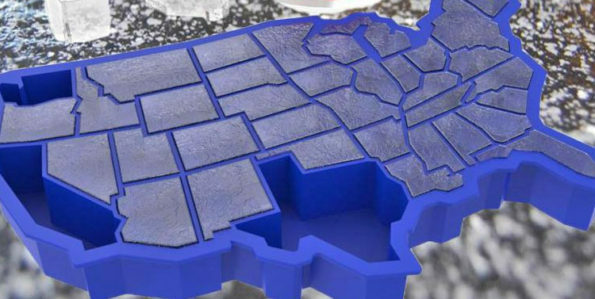 This USA Ice Tray is made from durable silicone and counts 40 states of ice cubes. You can eat up each state one by one. Buy Now!! !